Perspectivism: is a new weekly feature where we meet up with creative people within the community to highlight their personal style and chat about their perspective on the fashion industry. When did you begin your interest in fashion culture, and what prompted it? A lot of people seem curious about what you do for a living- does it tie into what content you create on your own social media? You have lived in NYC, LA, London, Texas, Hong Kong, and now Tokyo, how has living in different cities affected your tastes in fashion? In addition to fashion, food seems to be one of your passions, what can you say about that interest? Now that you are based in Tokyo full-time, how would you best describe the Pacific Fashion Capital of the World? Any upcoming events/ travel that you are looking forward to? As someone who is so heavily involved in the culture- where do you think we are currently with streetwear dominating the luxury market? 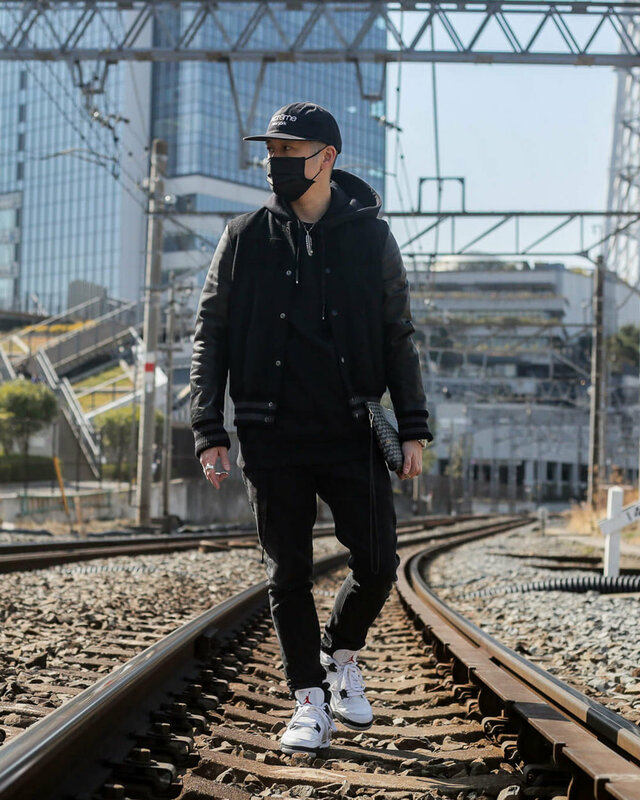 "I had shot this Tokyo streetwear tour YouTube Fung Bros video in 2017 and in it, I had called out that streetwear is luxury and luxury is now streetwear. This was before Virgil had signed to LVMH and now we see a constant stream of crossover between the two worlds. Buying luxury for the prestige, price and scarcity is not new. What’s new is that luxury brands have adopted the demand creation tactics of streetwear brands. This is because streetwear has become mainstream and luxury brands now see this new opportunity to tap into a completely brand new audience of Gen X and Gen Y consumers with expendable income. - Earning PR. The signing of a polarizing figure like Virgil Abloh to Louis Vuitton means huge amounts of earned media and generating awareness for the release of his collections because he has cultivated his own audience and following. Whether you like him or not, he and others like him has brought much more attention to the business in the likes we have never seen before. - Building an ecosystem. Related to earned PR, the luxury brands that will win are those that build an ecosystem of collaborative partners. Dior has become so much more powerful with the people that Kim Jones has brought in from Yoon to Matthew Williams. What brands/ designers have caught your attention recently, and why? “I think it’s clear that I’m just a huge fan of Dior right now. When the first notes of “Born Slippy” hit during his SS19 show, I knew it was going to be something special. It’s a bit of a return for me to Dior since I didn’t really care much for Kris Van Assche’s tenure with the brand. From the oblique sneakers to the saddle bag which I said would be the “it” pieces for this season, I think Kim Jones is just killing it. I also feel a greater affinity to Dior right now because I was super lucky to be at the first global launch of the collection at Isetan Shinjuku as well as attend the FW19 Sorayama show. Footwear seems to be at the core of your style- what sneakers/ boots have been your favorite go-to recently? As Spring/ Summer approaches what pieces will you be looking forward to rocking and what items will be essential in the coming months? Can you breakdown some key pieces you’re wearing? “2013AW Undercover “Anatomicouture” BRUIT Jacket. Just a classic grail piece I was lucky to find in Japan in new perfect condition. I’ve been on Undercover for a while but it was always hard to find the stuff living in the US. Undercover x Supreme “Seven Samurai” tee. I actually don’t have a lot of Supreme tees. Just the stuff that I like such as the Bruce Lee, Biggie, and The Killer graphic tees. I’m a fan of Akira Kurosawa, so this Undercover collab piece was a must. Another nice find living in Japan. 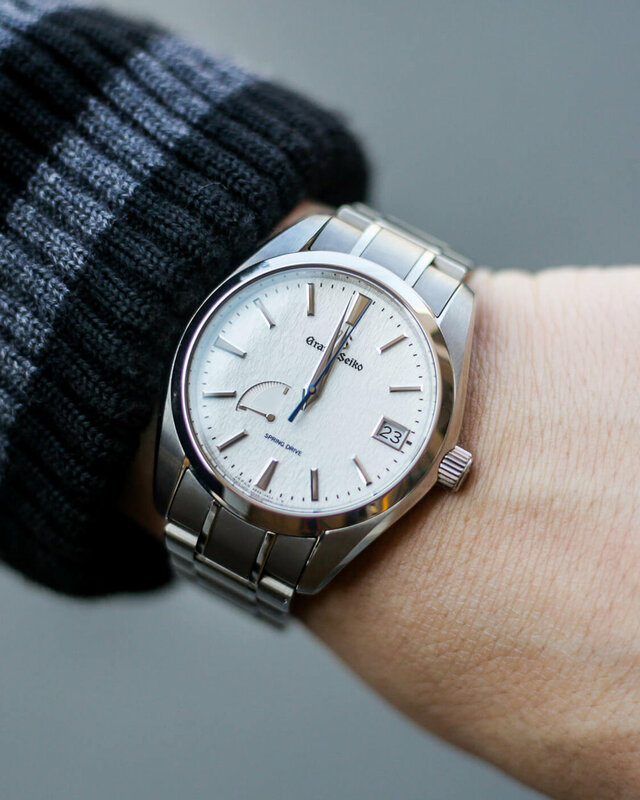 Grand Seiko Snowflake. I’m not a major watch collector. That’s an expensive hobby lol. But I’ve come to admire the craftsmanship and the precision of Grand Seiko, Japan’s premiere luxury watch brand. I have a Japan-only quartz model and this “Snowflake” Spring Drive model. The movement, accuracy and just overall finishing of the dial is just stunning. A must pick-up if you’re a watch person and in Japan. Faure Le Page. Actually a luxury brand that’s older than LV and Goyard with only standalone stores in Paris and Tokyo. ALYX Hoodie and Belt. Just clean made in Italy basics. Picked them up at at outlet in Hong Kong. Haha. Goros Necklace. One of the most original legendary Harajuku brands. People from all over the world fly to Japan to try and pick-up a piece. Mine were picked up at a Tokyo trip over 10 years ago. If you had any advice to pass along what would it be?